Apple is widely rumored to be working on a smart wristwatch the media has dubbed "iWatch" - and the company may now be getting its legal ducks in a row starting in Russia, of all places. Russian newspaper Izvestia (Google translated) reported today that Apple has allegedly filed a trademark application in Russia related to the mythical iWatch, which many believe to be the company's next hardware category. According to the report, Apple filed with the country's Russian Federal Service for Intellectual Property (Rospatent) office for a pair of International Classification of Goods and Services (ICGS) trademarks. The 9th grade of Nice Classification covers computers and computer peripherals, while the 14th is related to "hours" - as in, those on a clock or possibly a wristwatch. Apple could face an uphill struggle in registering the term iWatch in the country, as a variation of the term is already in use with online wristwatch reseller i-watch.ru. The company first secured the trademark in 2006. A Russian patent attorney claimed the existing i-watch.ru trademark will need to first be repealed by a court should Apple want to claim the trademark for its own. 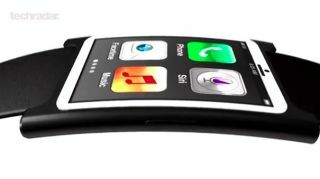 In 2011, an unnamed company attempted to register "iWatch" in the 14th class, but Rospatent denied the claim because it conflicted with an earlier mark for "iswatch," a trademark held by the famous Swiss watch manufacturer Swatch AG. Curiously, the report claims the first registered trademark application for "iWatch" was filed in Jamaica on December 3, 2012 - around the same time the Apple rumor mill really began heating up.